Let’s take a stab in the dark and ask you this: don’t you all love spending the night in a high-end hotel? Who doesn’t like the feather pillows, the king-sized bed, the fluffy white robe or the high (the highest that was ever made!) thread-count sheets? As for the entirely stocked mini-bar and room service- they simply seal the deal for a night to remember, right? Can you have the luxurious-feel bedroom at home? Why not also use an ensuite? How to buy pillows, quilts and underlays? What about the guest bedroom? When it comes to the amazing feel you get in a high-end hotel, it’s important to know that it’s the combination of factors that give that special feel. The mattress, the sheets, the small and subtle details- these are all aspects that make you feel like living the royal life. Spending our life in a high-end hotel is not accessible to most of us, but we can try our very best to create a one-of-a-kind feel in our very own bedroom at home. You should get high-quality and classic furniture that is going to last until the end of days. A low-budget piece of furniture is going to ruin the whole feel in your bedroom and you shouldn’t take any chances with the cheap items. Good quality furniture doesn’t have to empty your pockets and some vintage designer pieces can save the whole situation. 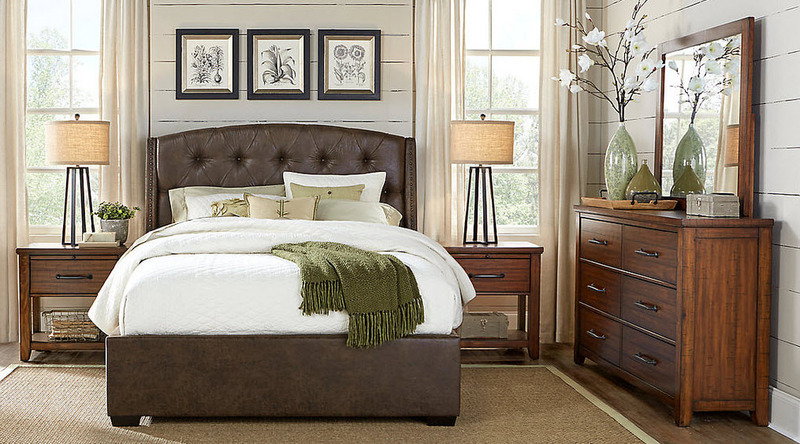 A bench seat, a luxurious ottoman or an impressive statement chair are going to give your bedroom that special high-end feel that it was missing. Don’t be afraid to make any bold choices- using one dramatic piece of furniture can make such a difference in your bedroom. No matter how you’re decorating your room or how much you spend on the carpets, the bed is going to mean the world for the luxurious feel that you’re trying to achieve. Did you know that you spend one third of your life in bed? Suffice it to say, it only makes sense that you do need to spend the extra buck for a high quality mattress. This means that your mattress should last you 10 years (to say the least). Even a $2000 mattress isn’t pricey when you come to think of it. You’re paying for better comfort, support and more relaxed sleep- after all, it’s what keeps everyone on the move. Unfortunately, you’re also going to have to get some high quality sheets- only to match the high quality of your mattress and pillows. When you aim for that high-end vibe in your bedroom, using the high quality sheets should be set in stone. In addition, the high quality sheets are going to help you sleep a lot better too. Look for the high numbers when it comes to thread-count cotton- it’s always a good investment to make. Cloud-like pillows that also give a nice support are an important addition for the high-end feel in your bedroom. You should combine memory foam and latex pillow on the bottom- it’s going to help you sleep better. Don’t forget to add some feather pillows on top for a nice breakfast in bed in the morning. Isn’t that what you do in a high-end hotel? One big part into creating a soothing feel into your bedroom is played by the lights you’re using. You should use the standard downlights for the practical situations. You cannot have a bedroom without pendants, lamps or sided lamps- you do need them for reading in bed, for instance. Don’t forget to also install some warm, low-lumen globes that are going to give your bedroom a calmer feel. A nice tip to apply is to install a wall sconce (a dimmable reading light into the ceiling may also do the trick) for creating that luxurious hotel feel that you’re trying to achieve. When your money isn’t tight, you should consider about also getting an ensuite in your bedroom. Having your own bathroom and shower at reach really steps up the game in your bedroom. You should also add a second bathroom for improving your lifestyle altogether- after all, you only live once! Have you ever noticed that any hotel rooms are, more than anything else, entirely clutter-free? Even though it may not be enough for some, you’re only going to find the essentials in a hotel room. Toiletries, bedsides, bed, towels and everything you need for a good night sleep. There are no items to add stress, you don’t need to fold anything or clean anything. You’re in a room where the only thing left for you to do is to relax. You want to have the same minimalistic aesthetics in your room so make sure you start organizing and create that clutter-free atmosphere. Let’s assume you know everything you need to know about a mattress. One of the things that count a lot when you want to give your bedroom the luxurious hotel feel is related to your bed: the pillows and quilts you’re using. Even the underlays can turn any plane bed into a very special one- if you know how to do it. We’re not saying that the dressing of your bed doesn’t matter- after all, it’s the final touch. However, it’s essential that you also take good care of the bedding basics. You shouldn’t forget about the mattress protector, the quilt and the pillows- they can help you sleep like a baby throughout the entire night. Quilts are a nice and comfy combination of feather and down, most of the time. Down is amazingly soft, lightweight and shapes really easy. The breathability is also another feature that counts. Down is even more appreciated than the feathers as it ensures a luxurious feel and has great insulating powers. Feathers give more support to the quilts, so a combo of the two is always a winning solution. You need to select the feather/down combination according to how cold your home gets during winter. Some like to be warm sleepers, whereas others go for a colder feel during their sleep. The rule of thumb is that the more down you have in the quilt, the warmer your quilt is going to be. Wool is another common option for quilts. As it’s a natural fiber, it lets the skin breathe, keeping a nice temperature for your body all night long. 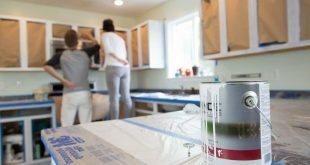 If you’re allergic to dust, you should go with the man-made fill options. They’re very easy to maintain and you only need to throw them in the washing machine any now and then. When you have a quilt made with lyocell, it’s even better. This is a renewable cellulose fiber and it’s made from 100% wood pulp. Lyocell is going to soak in moisture, improving your comfort throughout the night. Note: The build of your quilt is also essential. Many quilts out there are sewn in squares so that the filling doesn’t move too easy. It’s only a matter of time until the filling is going to move from the box, which can lead to the appearance of cold spots. You should go with 100% cotton cover, taking a closer look at the sewn edges, the secure piping and the twin needle stitching- all features that ensure a long lasting quilt. Even though they’re not as popular as they should be, the mattress toppers are going to give a luxurious to any bed, improving your comfort and helping you sleep like a baby. They add more warmth to the bed so it makes sense for anyone to use them during the cold season. The mattress toppers are typically made with ball fiber- cotton filled with clusters of cushioning and soft polyester fiber. They are also made with memory foam. You can also find wool toppers which are appreciated for the airflow that the natural fiber provides. The surface is soft and highly breathable and many of wool toppers out there are machine-washable, easing up the cleaning process. The underlay is another option to try, but it’s typically heavier. You want to go with a topper and a quilted top. The underlays may also be made of wool and are safe for machine-washing. Pillows come in a great diversity of shapes, colors and types of filling. Practically, the sky is the limit. How thick and what you want it to be made of it’s totally up to you and it’s impossible not find those that you fancy. You should consider your body frame, your sleeping position and everything else that counts for you when buying. A small-framed person or a front-sleeper should go with a soft pillow. A medium pillow is a better option for the back-sleepers and the larger frame people. If you’re a side sleeper or have a large body frame, a firm pillow is the best option. You may find feather or down pillows and you can get models that are easy to adjust until you get the best amount of filling for your needs. You should also consider polyester pillows as they’re budget-friendly and easy to take care of. They may not pass the durability test (not as well as the feather and down pillows), but they’re really versatile and easy to take care of. Firmer than most pillows, the memory foam pillows are rather new on the market, but they may fit all sorts of sleeping styles. A good memory foam pillow is going to mold to the shape of your head and neck, reducing the movement and improving your sleep throughout the night. This type of pillow is great for the side-sleepers as it remains high during the night, ensuring good support for the neck and head. You can also find memory foam pillows that come with two heights so it’s even easier for you to find the best way to use it. If you have enough space, you should create a luxurious and comfy feel in the guest bedroom too. You want to see your friends/family all happy and relaxed in the morning. You don’t need to buy the high-end bed or mattress for best comfort, but keeping in mind few essentials is going to help you improve their stay. You don’t know how your guests like to sleep, so you should create the bedding in layers. This way, your guests may throw some of the layers as they get too hot. Begin with a lightweight quilt and add an open-wave throw for cover. This is also going to give a bit more color and texture to the room. The better the quality of your sheets (cotton is always the winning choice), the more comfortable your guests are going to feel. The crisp quality sheets give that extra-luxurious feel and makes sure you always take a good look at the thread count. You should also pay attention to the fiber type and the weave. You don’t realize you’re using the wrong pillow until you wake up with a stiff neck in the morning. Pay the extra buck and get good quality pillows for the guest bedroom. Get also firm and soft pillows, at least two pieces per person. Throw in some extra pillows or plump cushions for extra comfort in the morning when having breakfast in bed. It’s great if you can create some hanging space for the clothes of your guests. When wardrobe is out of the question, you may use an open hanger or a foldaway. Drawers are also good for the folded clothes or some other personal items. Don’t forget to offer some space for placing the jewelry, makeup or phones. 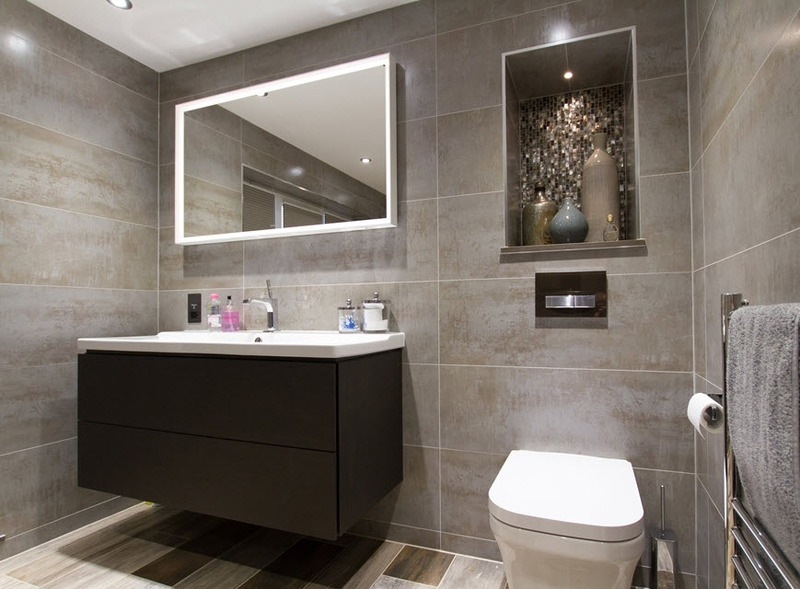 Offering your guests a separate bathroom or an ensuite is a real spoil and you should do it if you have the means. Add nice toiletries as a warm welcome. Give your guests some great towels and a basket filled with special bath/spa items. Don’t forget about some scented candles, hand creams or natural sea sponges- you’re going to make them feel so special! Add a floor lamp or a bedside lamp in the corner of the room. It’s going to create a more relaxed feel and warmth in the room. An armchair is always an inspired addition to a guestroom.